Silent Chaos is a duo, or better, a musical at one born from the union of different artistic personalities, creating an essence where opposites coexist happily and stimulate each other. In fact, if Ugo Vantini has grown and developed into a dense primordial soup of progressive rock contaminated by jazz and classical music, Marta Noone, however, is the restless part of an electronic generation born under the nuclear shadow of Chernobyl, which is fed by industrial music echoing in Gothic buildings, permeated by electrocution. Both are looking for a sound, a new possibility of expression which is not bound in established patterns, and they find it in improvisation, in the construction of different musical worlds set in the time of execution, in an unrepeatable extemporaneous composition photographing the creative moment. Marta Noone is a musician and visual artist of Rome, engaged in an aesthetic-philosophical style research that uses sounds and images to filter through her art the historical moment and the related distress, drawing from other possible etheric worlds. 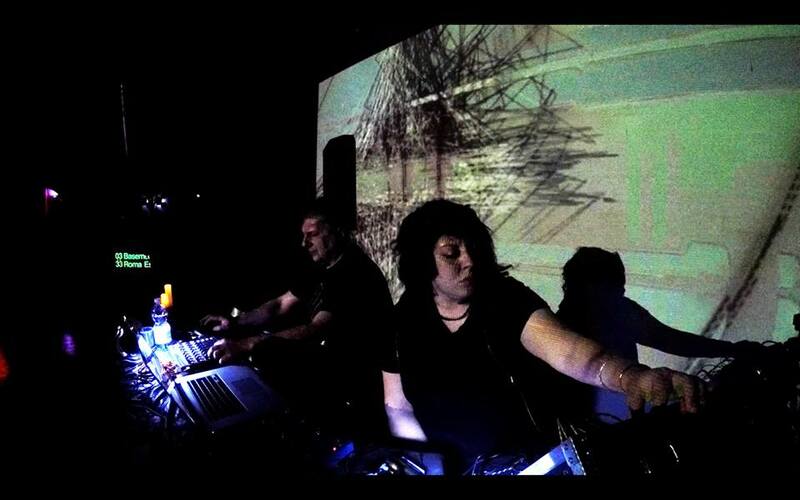 In this path she has organized unconventional events of electronic music and contemporary art, she has collaborated with several artists of the Roman area in live and theatrical performances, and for original soundtracks productions. Ugo Vantini, eclectic drummer of Rome, has collaborate with different groups of progressive rock extraction such as: Divae, Balletto Di Bronzo, Ezra Winston, VU Meters. He has divided the stage with artists of the caliber of BMS, Orme, Osanna, Gary Green (Gentle Giant), Jack Bruce, Area, Arena, Anekdoten, Carl Palmer (ELP) and many others. He currently works on a permanent basis with Entropia, a historic Italian band that offers electronic music contaminated by influences of various kinds, with Entropia Techno Department, the side project of Entropia exclusively oriented to techno, and label Eclectic Productions.